Next in number two is the team that held the top position in the ABL standings before finally falling to second place in the next to last weekend of the regular season. Here’s is your preview for Hi-Tech Bangkok City. 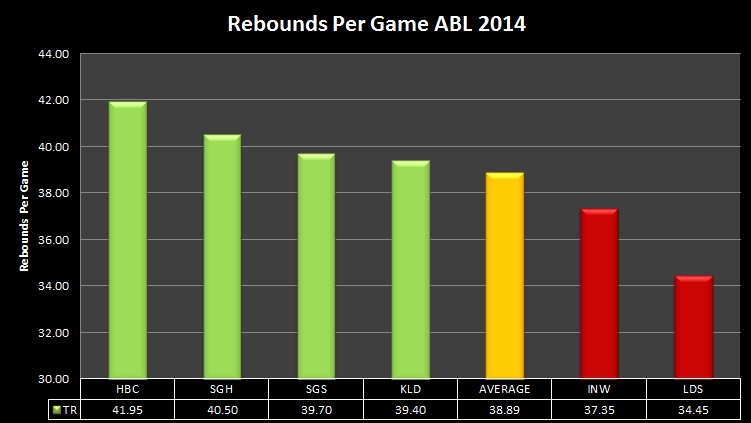 Before we start off the ABL Playoffs 2014, I’d like to use this space here to look back at the regular season numbers and see what we can crunch from that to evaluate out expectations for this year’s playoffs from each team. We started off our preview with the best offensive team in the league, now we follow up with the best defensive team in the league. Hi-Tech allowed the second lowest point per game at 71.7 points per game, slightly a bit higher than the 70.4 points per game that the Slingers allowed, so this doesn’t solidify the case that Hi-Tech are the best defensive squad in the League. 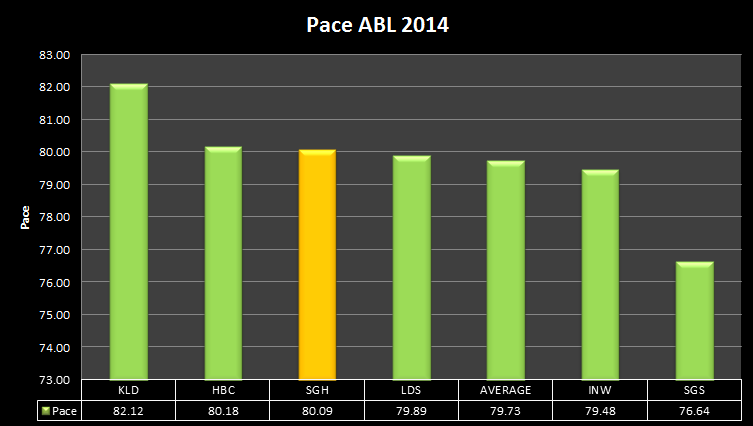 However, looking at the pace of all the teams in the ABL, the Slingers are dragging along at 76.64 while Hi-Tech are playing the second fastest pace at 80.18. This is no slight to the Slingers defense, but yoh have to admit that it is impressive to hold opponents to a low scoring rate while still managing to play at such a fast tempo. Which then leads to the next question: How do they do it? The Hi-Tech defense has been brutal to opposing teams offense, holding them to only 36.4%. 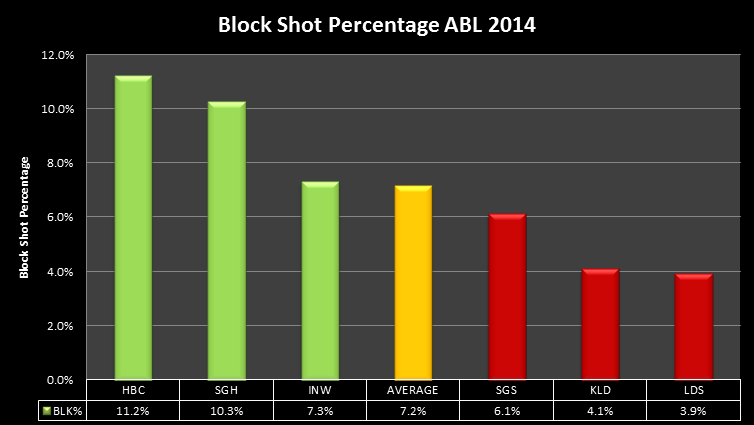 Compared to the league average 38.9% that is quite a large gap from the rest of the league. Hi-Tech has a slew of long and lanky wings and are of course anchored by two defensive minded inside players like Steve Thomas and Christian Charles. 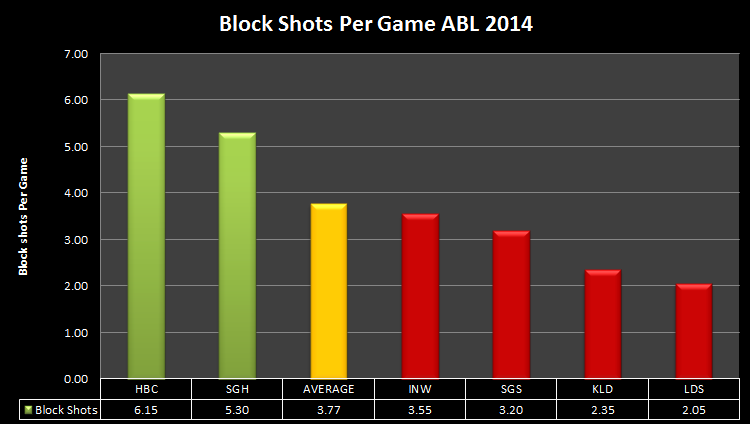 Hi-Tech leads the league in Blocked Shots with 6.10 per game followed closely by Saigon Heat at 5.3 per game. Both Chris Charles and Justin Williams are swatting away shots left and right, but while Williams has been doing better individually (4.4 per game) than Chris Charles (4.0 per game), the Hi-Tech supporting swatters have been a bit more efficient in blocking shots. With that said, of the 2 point field goals that opponents have taken, Hi-Tech has swatted away 11.2% of those shots. 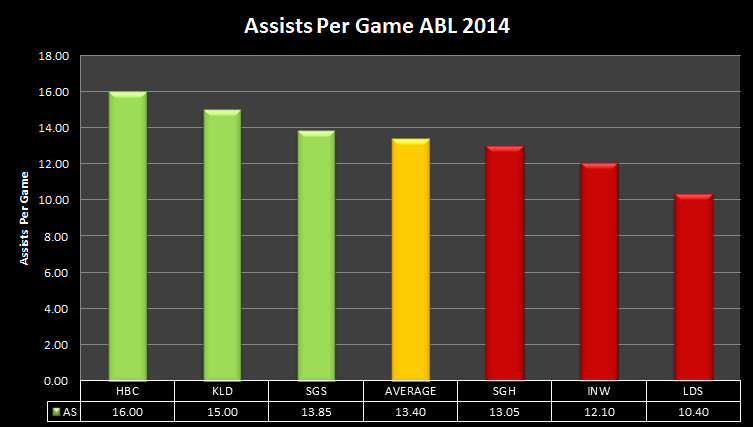 They also keep the fouls at a low rate, averaging 17.0 per game, good for second least in the league. To be able to contest all these shots and commit such a small amount of fouls is a statement of how well they defend. Playing against Hi-Tech, you might be able to get your shots off (evident from the second highest allowed shot attempts in the league) but it will be very hard to make them. And once those shots clang off, it will be hard to get them back. Hi-Tech are the best rebounding team in the league, grabbing 54.6% of all missed shots in their games with a total of 41.95 per game, leading the league in both categories. Not only do Hi-Tech use their length to defend the ball, but they use it well to grab rebounds as well. After all this talking about defense, you start wondering about their offense. 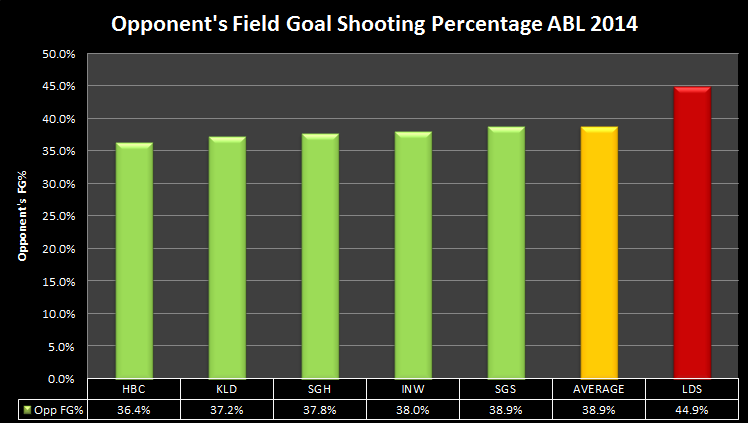 Their shooting efficiency is not spectacular, but they are shooting at an acceptable split around the league average. 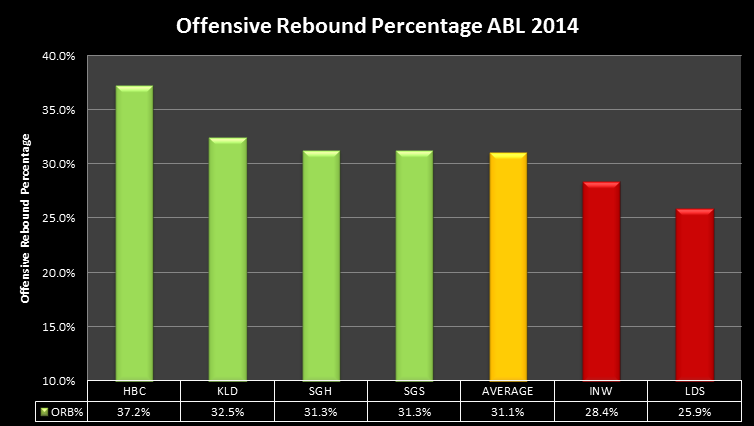 However, it’s their offensive rebounding that gets their offense going. Hi-Tech collects 37.3% of available offensive rebounds, meaning that about 1 out of every 3 shots Hi-Tech misses, they will get another chance. That is a commonly overlooked but massive advantage. Hi-Tech also gets to the line the most times in the league at 23.8 times per game and they hit the most free throws in the league at 15.35. To top all of that off, this is statistically the team with the best ball movement. 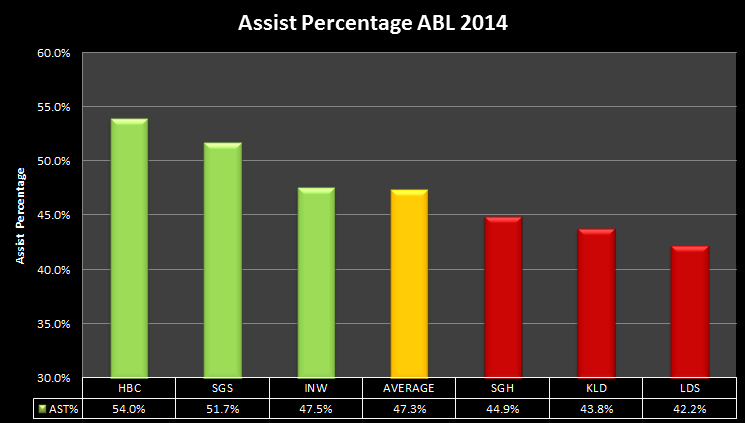 Hi-Tech averages league highs in assists per game (16.00) and assist percentage (54.0%). This is a team that loves to share the ball, being led by the example set by Steve Thomas, the best passing big man in the ABL. A team that plays awesome defense, rebounds the ball well, gets to the free throw line, AND shares the ball on offense? What could go wrong here? They averaged 5.47 more fouls in their losses, which possibly meant limited playing time at the end of the games in those loses. They made 1.90 more 3 point shots in their losses, which kind of goes against common sense that making more points leads to more wins. But you have to consider in the structure of the team that they are built around the inside game of Thomas and Charles more than anything else. Hitting more 3 pointers might mean that they strayed away from their usual gameplan, leading to the loss. 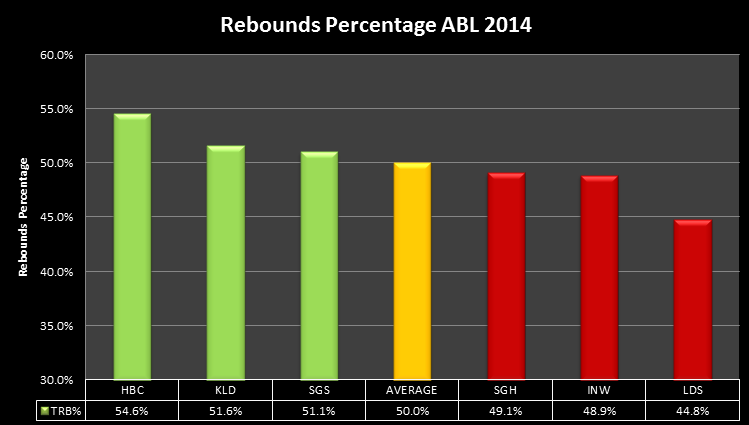 Hi-Tech grabbed 4.19 less offensive rebounds in their losses, which is probably the largest factor of all. This is a team that thrives off the second chances. They grab the offensive boards and get the fouls inside. So if you are keeping count, the way to beat Hi-Tech is make them foul, make them shoot threes, and box out the rebounder. Hi-Tech are an all-around team. They can both run the break and post in the half court game. They play great defense. They rebound well. They are like a well oiled machine. But the thing that might hold them back is a lack of a reliable go to scorer that can create his own shot off the dribble. Chris Charles is a great player, MVP-Caliber, but he needs the ball in the post and he can’t create from the perimeter. Jerick Canada has been clutch in some moments, but he is more of a distributor than a scorer. Patrick Cabahug was brought into assume this role and has done well scoring, but his late game performance has come off a bit sour. Hi-Tech should also avoid playing on a Sunday, where they have only won 1 out of 4 games, or playing at OCBC Arena, where they have not won at all this season. Both conditions they will have to face in Game 2 of the Semifinals match up against the Singapore Slingers this coming weekend. Chris Charles as Tim Duncan. Jerick Canada as Tony Parker. Steve Thomas as Boris Diaw. Wuttipong Dasom as Kawhii Leonard. Wattana Suttisin as Manu Ginobili. Sukhdavb Ghogar as Tiago Splitter. I could go on and on, but the resemblance is a bit uncanny, even if I am reaching a bit. Last year’s Spurs squad played one of the best offenses every seen in NBA history, and while Hi-Tech offense is not that spectacular, the ball movement and ball sharing is there. Hi-Tech plays the Singapore Slingers at Thai-Japanese Stadium on the 29th of October, 7.00PM +7GMT for Game 1. They will play again on Halloween, 31st of October, 8.00PM +8GMT for Game 2. If necessary, they will finish off the series at Thai Japanese Stadium on the 2nd of November.